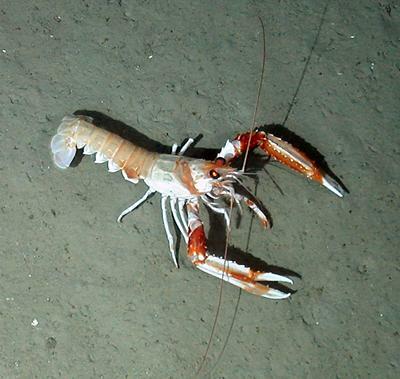 Underwater sound linked to human activity could alter the behaviour of seabed creatures that play a vital role in marine ecosystems, according to new research from the University of Southampton. The study, reported in the journal Scientific Reports published by Nature, found that exposure to sounds that resemble shipping traffic and offshore construction activities results in behavioural responses in certain invertebrate species that live in the marine sediment. These species make a crucial contribution to the seabed ecosystem as their burrowing and bioirrigation activities (how much the organism moves water in and out of the sediment by its actions) are crucial in nutrient recycling and carbon storage. The study showed that some man-made sounds can cause certain species to reduce irrigation and sediment turnover. Such reductions can lead to the formation of compacted sediments that suffer reduced oxygen, potentially becoming anoxic (depleted of dissolved oxygen and a more severe condition of hypoxia), which may have an impact on seabed productivity, sediment biodiversity and also fisheries production. Lead author Martin Solan, Professor in Marine Ecology, said: “Coastal and shelf environments support high levels of biodiversity that are vital in mediating ecosystem processes, but they are also subject to noise associated with increasing levels of offshore human activity. Previous work has almost exclusively focussed on direct physiological or behavioural responses in marine mammals and fish, and has not previously addressed the indirect impacts of sound on ecosystem properties. 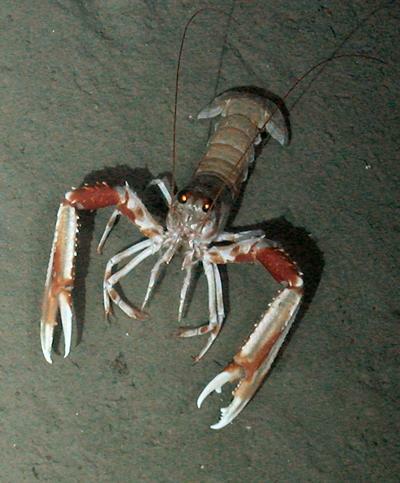 The Southampton researchers exposed three species – the langoustine (Nephrops norvegicus), a slim, orange-pink lobster which grows up to 25 cm long, the Manila clam (Ruditapes philippinarum) and the brittlestar (Amphiura filfiformis) ¬– to two different types of underwater sound fields: continuous broadband noise (CBN) that mimics shipping traffic and intermittent broadband noise (IBN) reflecting marine construction activity. The sounds were reproduced in controlled test tanks and experiments were run on one species at a time. For CBN, a recording (one minute duration, continuously looped) of a ship made in the English Channel at a distance of around 100 metres was used’. For IBN, a recording (two minutes duration, continuously looped) of a wind farm in the North Sea at a distance of about 60 metres was used. The results showed that the sounds could alter the way these species behaved when interacting with their environments. 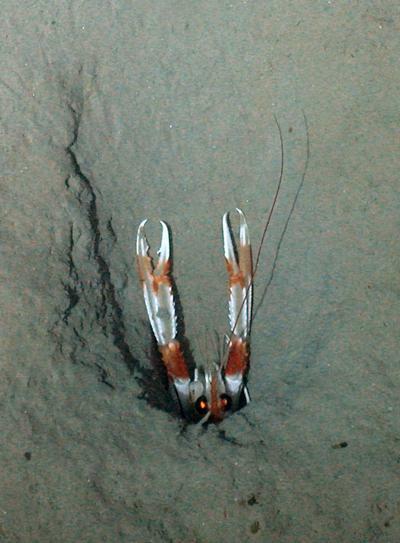 With the langoustine, which disturbs the sediment to create burrows in which it lives, the researchers saw a reduction in the depth of sediment redistribution (how much of the surface sediment was overturned into the deeper layers) with exposure to IBN or CBN. Under CBN and IBN there was evidence that bioirrigation increased. The Manila clam, a commercial fishery species in Europe that lives in the sediment and connects to the overlying water through a retractable siphon, reduced its surface activity under CBN, which affected the surface roughness of the sediment. Bioirrigation, which is strongly influenced by clam behaviour and the activity of the siphon, was markedly reduced by CBN and slightly reduced under IBN. However, the sound fields had little impact on the brittlestar. The work is a collaboration across three University academic units: Ocean and Earth Science (lead author Professor Martin Solan, Dr Chris Hauton and Christina Wood); the Centre for Biological Sciences (Jasmin Godbold); and the Institute of Sound and Vibration Research (Professors Paul White and Timothy Leighton). It was funded under the Environmental Technology Programme, BP International Ltd. (Agreement Repository Number BP00206064).